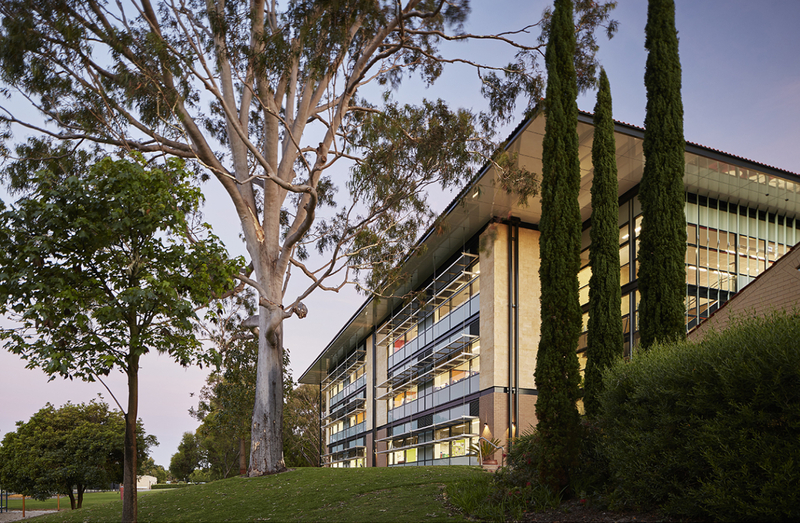 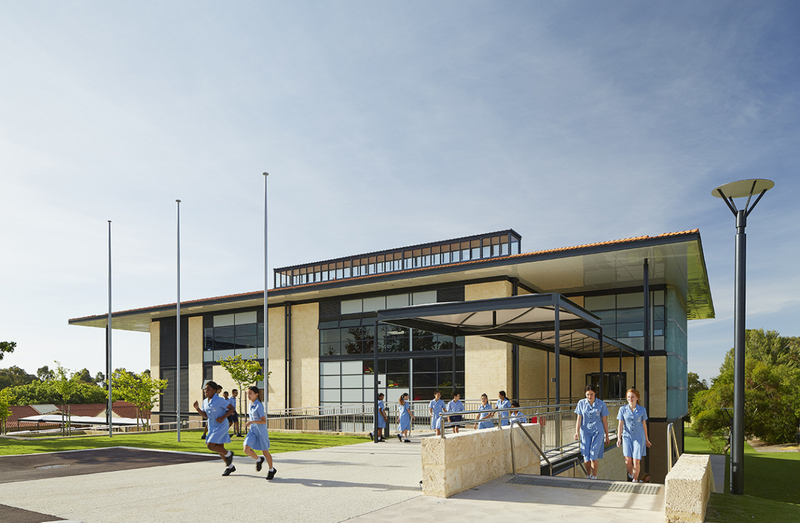 The design of the new three-level Learning and Innovation Centre for Year 5 and 6 students on the All Saints’ College campus in Bull Creek, Western Australia, physically links and provides a transition between the existing lower level Junior School and the upper level Senior Campus. 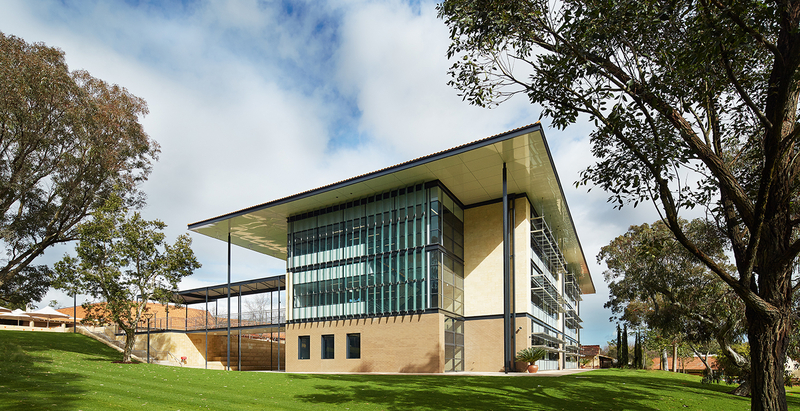 The architectural language of the new facility harmonises with the material palette of the existing College buildings. 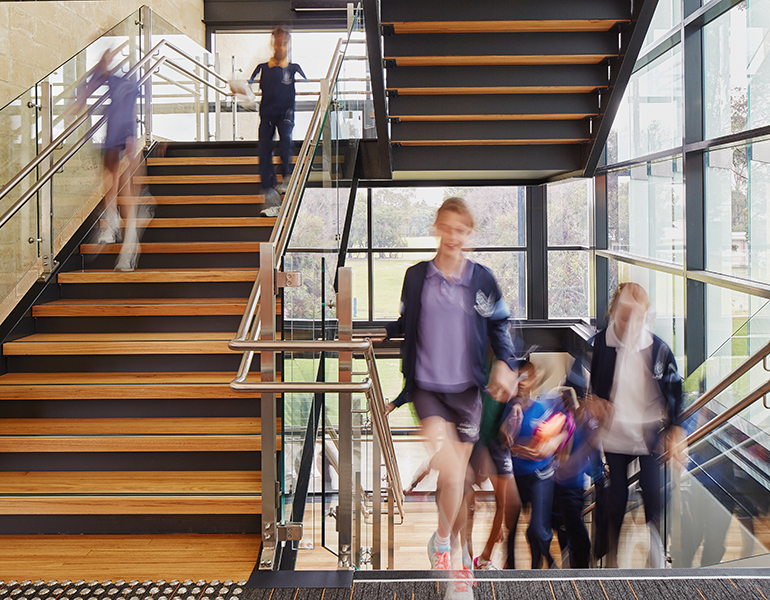 The project includes learning and breakout areas, staff areas, auditorium and student and staff amenities. 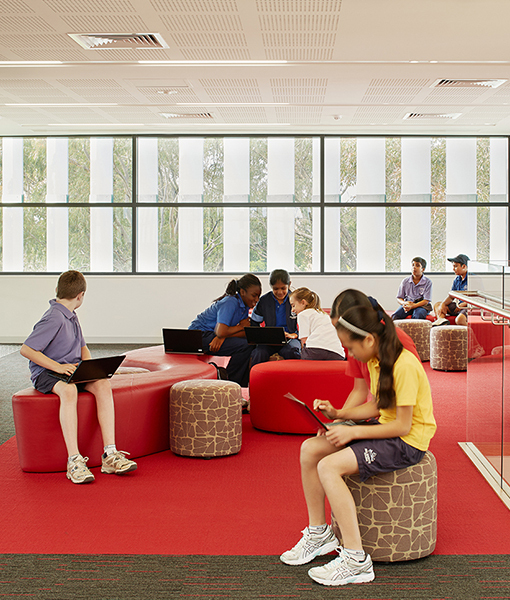 It is designed so that the buildings can adjust to changing pedagogical and school needs. 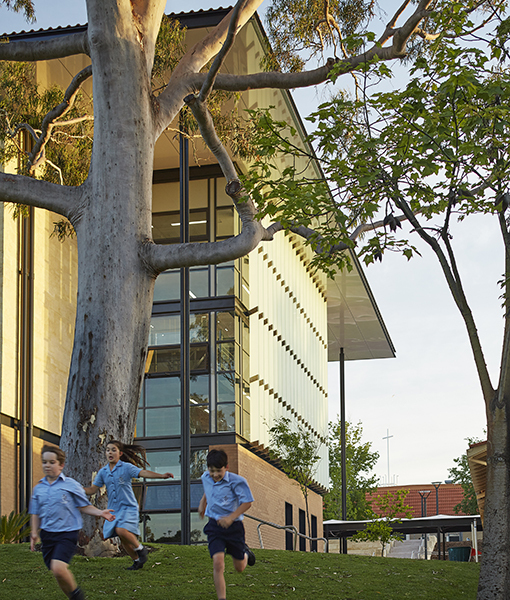 The new building provides comfortable and welcoming informal learning and break out spaces outside of classrooms. 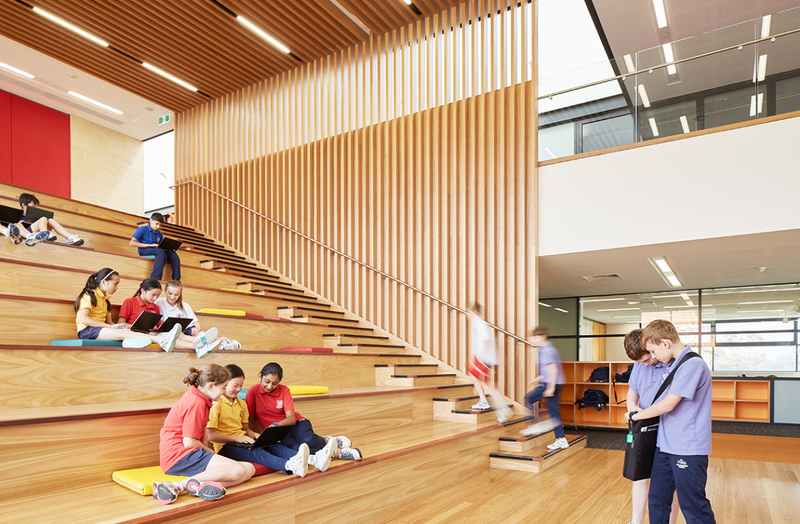 Safety and comfort of students was paramount in the design. 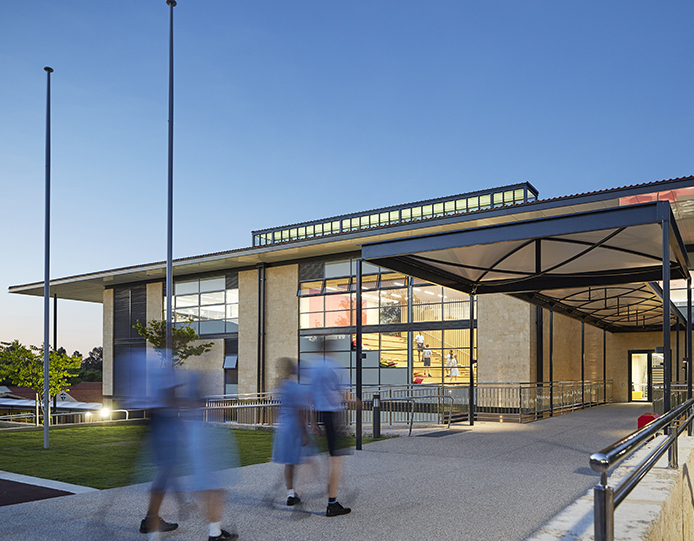 Openness and transparency of building volumes and legibility of floor-plate configuration enable clear way-finding, direction and passive supervision. 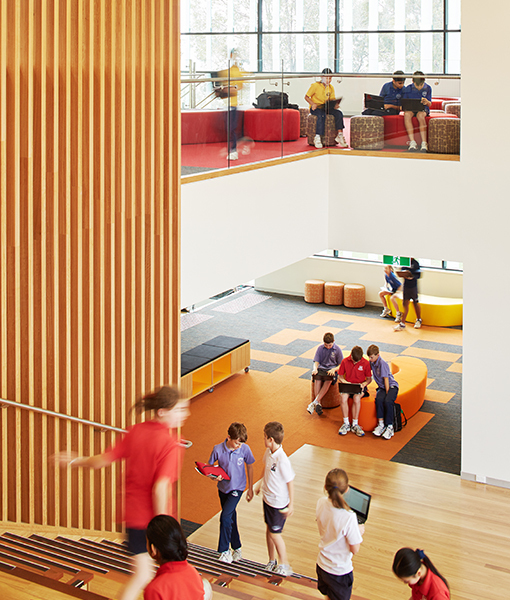 The College students, staff and parent community have enthusiastically embraced the new building, and both students and teachers have discovered new ways to engage in learning by making use of the wide range of learning environments and break-out spaces it provides.